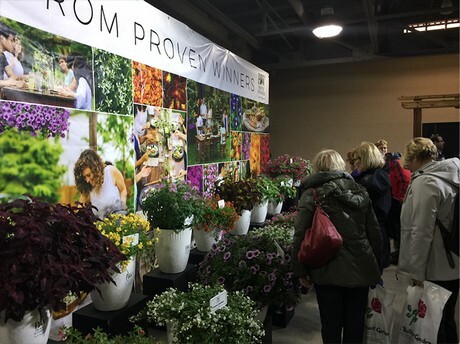 Proven Winners will partner with local garden centers to reach over 600,000 attendees at eight Home and Garden shows this spring. This investment in regional opportunities creates value for the retailers and also supports the efforts of regional gardening organizations that are vital to building and maintaining interest among the gardening public. Proven Winners will be creating exposure at consumer Home and Garden shows in Philadelphia, Boston, Portland ME, Newport RI, Charlotte, Grand Rapids, Milwaukee and Toronto. Laura LeBoutillier of Garden Answer will speak on the main stage and conduct a meet and greet in the Proven Winners booth in Philadelphia and Charlotte. This will give some of Laura’s enormous 2.5 million Facebook fan base an opportunity to meet her in person. In anticipation of the demand these shows will create, growers and retailers should stock up on new Proven Winners varieties and the Proven Winners National Plants of the Year for 2019. At each show Proven Winners is partnering with local retailers who will be representing the brand in the Proven Winners booth. Retailers will distribute the newly published Gardener’s Idea Book and brochures that detail each plant being showcased with key growing information and a complete listing of all retailers carrying Proven Winners plants in that area.